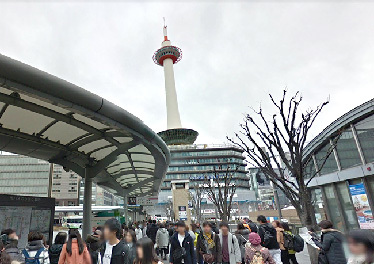 ①After you go through the Karasuma central gate of JR Kyoto Station, you will see Kyoto Tower in front. 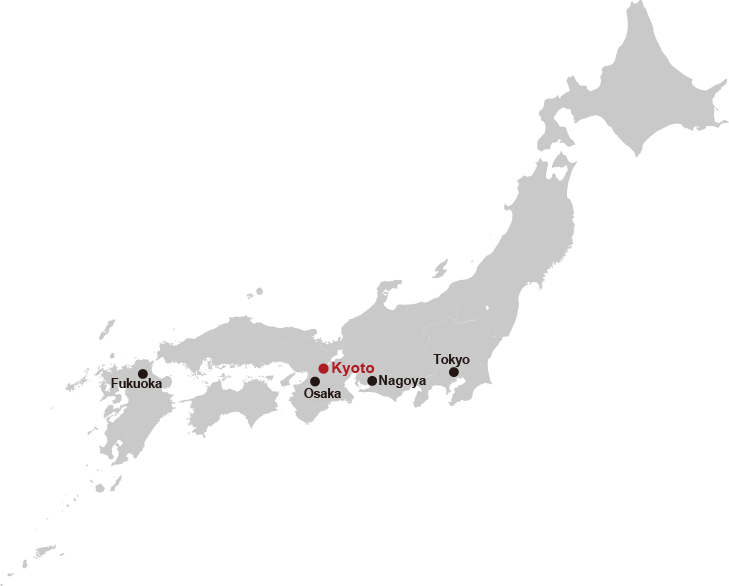 ②Get across an intersection in front of Kyoto Tower, and walk to north along Karasuma Street. 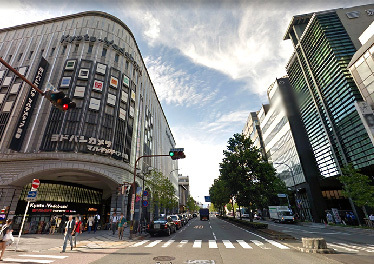 ③Keep walking, passing by Kyoto-Yodobashi (on the left side) and the Bank of Kyoto (on the right side). 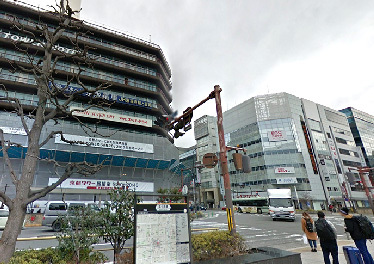 ④Go straight down an intersection of Karasuma Shichijo, then you will see Higashi Honganji on your left side. ⑤Cross at the intersection in front of the Founder’s Hall Gate of that temple (Goei-do Mon) to the East. 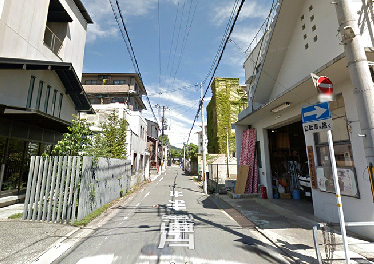 ⑥Go straight on a narrow street (Shomen-dori). 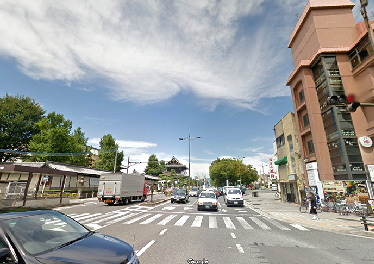 After you get across the first intersection, you can find our hotel, IRORI.